For the longest time Galleria Market was known for budget and unbranded shoe stores which were great for kids and teens but now the market is getting a bevy of branded shoe stores to take shoe shopping up a level and it’s just in time for party season! For a local brand, D Lounge has their finger on the pulse of footwear trends and the collections come in by season with styles for everyone, from seniors to kids and teens. 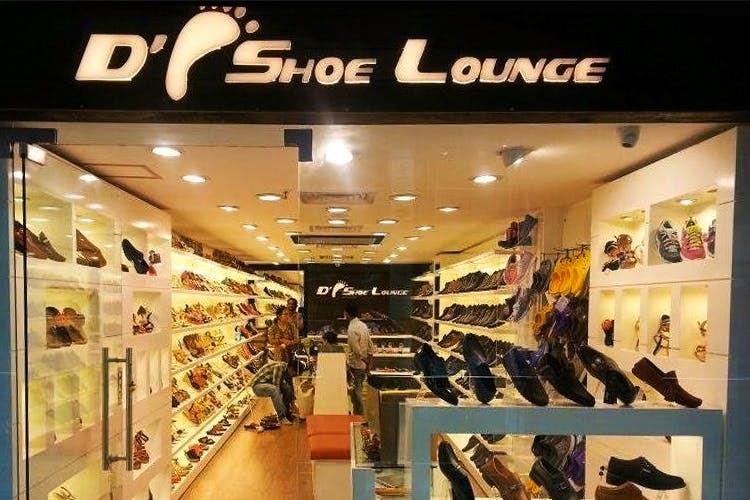 In fact, they also stock original Crocs, so if you’re looking for those, then D Lounge is the place to stop by at. For women, their collections essentially stock flats and kitten heels with a few styles in platforms, wedges and stilettos. Party season sees more of bling with gold, silver and bronze showing up in terms of colour but for those of you who prefer more staid footwear then they have formals that are ideal for office wear too! The collection for men isn’t as elaborate as the one for women but again, this is a good store to pick up formal footwear from, the price points are very comfortable too. If you’re looking for something more contemporary then check out the brogues they have in patent leather. The stock for boots is also in, from casual to military, they have it all! The next time you’re looking for pretty and sturdy footwear that doesn’t cost the earth, it’s a good idea to browse through the collection at D Lounge and enjoy Galleria Market while you’re at it!